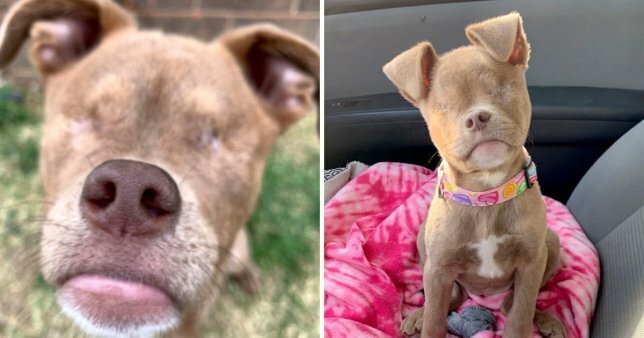 A dog who had an awful start in life and lost both her eyes as a pup has found a forever home – and become an Instagram star in the process. 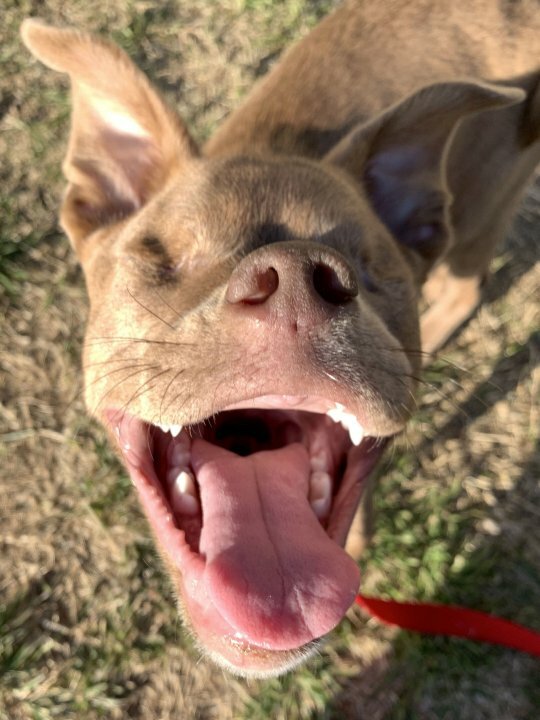 Five-month-old pup Puddin was rescued from her previous owners in Texas, US, at six weeks old, after she was neglected and left with an eye infection. By the time she was in the care of the Society for the Prevention of Cruelty to Animals of Texas (SPCA), the puppy was completely blind and needed her eyes removed and eye sockets sewn together. Her new owner, 22-year-old Cory Gonzales, took in the injured pup. Despite Puddin’s lack of sight, she has an infectious enthusiasm for life that has touched the hearts of thousands of fans online. ‘The SPCA found Puddin with a very severe eye infection,’ said owner Cory, who is a student from Lubbock, Texas. ‘While the owners did not take care of Puddin, they refused to hand her over. The animal welfare society took them to court, which took longer than they had hoped, and by the time they had won the case Puddin’s eyes were completely destroyed. ‘They took Puddin to a specialist and he informed because of the damage done by the infection she was going to be left blind and further inspection of her eyes they realized that they were causing her a great deal of pain. ‘To improve her quality of life, they removed her eyes, and now here we are. Cory, who is currently training to become a speech language pathologist, adopted Puddin three months ago. He started an Instagram page where he documents Puddin’s adventures and already has almost 7,000 followers. Fans can see Puddin learning new tricks and going about her day-to-day life, as well as marvel at her beauty. Cory describes her as ‘a spunky girl who enjoys long naps, biting her dad’s toes and cuddles’. Cory said: ‘When I saw Puddin online I immediately fell in love with her ears, of all things. ‘The day after I met her, I came back in and adopted her! I think we both feel so blessed to have met each other.